Discover 46 super business growth strategies with fully detailed “execution secrets” in a digital business training course, proven to create HUGE boosts to sales and profits, rapidly. It’s actually called ‘Double Your Profits‘ – because that’s what its been achieving (and more) in months for those who invested in it. Have you ever wondered what potential net profit increase your business has hidden within it? There are certain types of strategies that work for nearly every business and the Double Your Profits digital training course has dozens of them, under 7 types of strategies. This training is focused on giving you powerful business skills to make your business super profitable. Without these business skills, learned by the owners, most businesses will struggle or grow slow – for years or even decades. Included with the Double Your Profits business training is a comprehensive 100 page workbook with specific exercises for you to do to improvement mindsets, to set achievable goals and details to apply the strategies. Plus it contains the No.1 strategy that has produces the biggest impact of all with our many hundreds of clients. That strategy is learning how to apply DISC Profiles to your business. 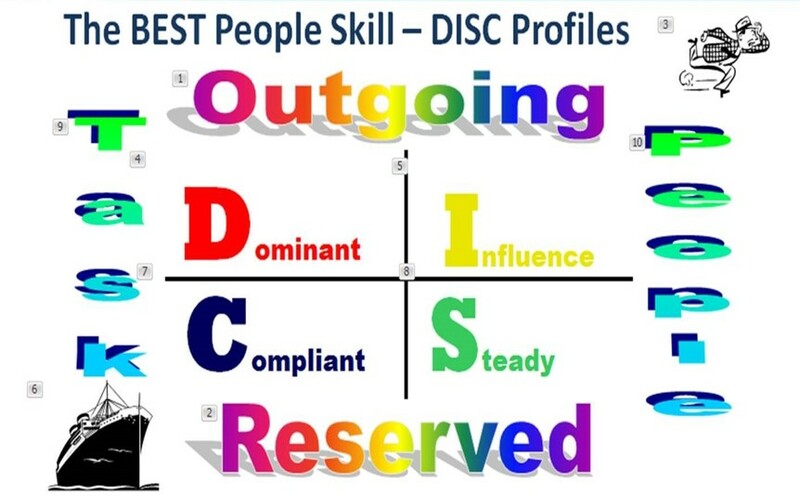 If you’re not familiar with DISC Profiles, you’re really missing out on a huge benefits. It’s the best people-skill related topic you will ever come across anywhere. It’s a topic that has been responsible for tripling the sales of a builder, adding $400,000 to the monthly sales of an engineering firm as well as dozens more amazing results. This one subject and content alone in the course makes it extremely good value for money! The Double Your Profits digital training course contains 17 hours of content, but its guaranteed you’ll be going over the hours of video training for months. That’s been the case for every purchaser so far. It’s possibly the best value for money business skills training you will find anywhere online, especially for offline, traditional service business owners. How would you like to DOUBLE your business profits? What difference would it make to have double the CASH in your business account? What Types of Businesses Are Suited to this Skills Training Course? All types of offline/traditional businesses and especially small or single operator service businesses that provide quotes with prices on the phone and/or face to face. This course is almost perfectly matched to these types of businesses, so a healthy profit increase is very likely because that’s already happened with nearly all those who invested in it. If your business has 3 or more employees then the Academy of Business Mastery business course online is the “next level” training that’s perfect for you, no matter what industry you operate in (or country location). So how much can you expect to pay for this training course, with its 17 hours of business growing content and workbook, and a special surprise bonuses? Consider that a business coach training you for 17 hours, about an hour a week would take 17 weeks, or 4 months and that business coaches charge between $1,500 and $4,000 per month, that puts the true value of this training at $6,000 minimum. You don’t need to pay thousands, or even one thousand for this course. The price is extremely affordable for any business, and will almost certainly the best investment you will ever make in your practical education. To find out more about this fantastic business skills training on click the button below and enter your contact details to receive detailed information and discover the tiny investment required for wisdom for life. This training package is not going to be on offer at its bargain price for long, so if you’re considering the incredible value of doubling your net profit that it can provide, take a step towards it now while it’s available. All your questions will be answered when you accept the invitation to talk to Tim the course creator, coming by email. That’s just so you’re certain it’s going to be of exceptionally high value to you. That care factor with business owners like you is how Profit Transformations’ strong reputation is maintained as having practical business training that achieves great results. The above form is an ‘expression of interest’ only. No payment is required and there is no commitment for you to go any further. You’ll be emailed additional course contents, a few questions to answer and an offer to talk about your business, situation, challenges, and/or goals in a one on one meeting. There’s no obligation or pressure on you to do anything at any time. Your also receive regular weekly newsletter and new webinar training releases too so you can continue to be updated with free information or training if you don’t choose to go ahead with the course. You can unsubscribe at any time. Fill in the form above now and let’s talk about your business to see if it matches the best investment others and potentially you will even make in your own business education and success.